In the past 016 years, the premium income of China's insurance industry will exceed 3 trillion yuan, becoming the second largest insurance market in the world. 2016, from the "outstanding two generation" of the formal implementation of supervision system, commercial insurance fee change officially started, to the insurance funds of listed companies, insurance placards will again strengthen the supervision of universal insurance, the insurance industry frequently boarded the headlines "". Review these or memorable, or memorable, or worthy of reflection events, it is easy to find that the insurance industry has stood at the crossroads of reform. With the development of economy and science and technology, great changes have taken place in the insurance industry in the past ten years, and in the future it will undergo a profound period of change. We interviewed two practitioners in the insurance industry for many years, and they also saw these changes and trends in their stories. A Likun, engaged in the insurance industry for ten years, from the beginning of the life insurance sales, insurance to electricity sales, net sales to now, his experience is witness to the insurance industry front rich ten years. In 2006, -2016 was the ten year of rapid development of Internet, and the development of technology was beyond imagination. From a global perspective, 2017, Internet users will reach 3 billion 300 million, and calculate the cost of broadband communications costs continue to decline in the past 20 years is basically down to an annual rate of about 30%, single face insurance services, has been unable to meet the demand of the times. The proportion of customers using e-mail, mobile phones and Internet channels is close to 50%; the use of physical channels is gradually declining; nearly 60% of customers are reluctant to pay for face-to-face consulting and services. As a result of the survey, lifestyle and scenarios change with advances in technology, and the risks that people are worried about may be unexpected, and consumers are eager for new insurance models to meet their diverse needs. Over the past ten years, traditional insurance companies have been pushing more and more flexible systems to meet customer needs. None of the new insurance products, new products and new distribution channels will cause great pressure on the traditional system of insurance companies. The ability to digitize the business front-end is a prerequisite for the insurance company to achieve its transformation strategy. Compared to face to face insurance services, the new sales channels can be assisted by digital tools with the help of insurance technology companies, and digital, flexible and high marketing means, which makes this part of customer satisfaction significantly improved. Huang Yulong has been engaged in the insurance sale for seven years. When the company entered the line, the customer had a low demand for value-added services, because there were too few insurance companies to do so. And the company that can do it was very small, not to mention other (value-added services)." With the increasing development of insurance company, in order to better focus on the insurance business, some insurance companies will start outsourcing, including underwriting, actuarial, customer service, marketing, product design, the demand gradually promoted the rise and development of science and technology insurance. Some say that insurance companies will lose some market share as technology rises, and on the other hand, companies that embrace change also have access to share growth. 99 unlimited is an enterprise service company, started financial services, and now, the mainstream domestic banks and a number of large insurance institutions have become their customers. At the beginning of the year, they integrated the service experience of the insurance industry and launched a solution to the demand for value-added insurance services. Mainly for the insurance industry to solve the industry, customers and value-added marketing services to promote the traditional insurance business mobile internet. Under the new situation, the product differentiation of insurance company is becoming smaller and smaller, and it will become the competitive advantage of the insurance company for the new risk, new field, new channel dynamic innovation and realizing the commitment to the customer. Similar to the "99 infinite" such technology services company obviously can be welcomed by the insurance industry, and the traditional insurance companies and such technology services company, can allow them to quickly change, embrace the changes in times. Insurance technology provides insurance companies with unique opportunities for restructuring and upgrading their business models. It doesn't necessarily mean subversion, it represents the opportunity to create innovative solutions using technology and data, thereby reducing the cost of insurance, to explore the value of customer service, for insurance companies, brokers, agents and third party to provide more profits. For insurance companies that put their long-term development strategy at the center, cooperation with insurance technology companies can complement each other and will continue to contribute to the future of the insurance industry. The essence of insurance is mutual aid, each of us gives a small amount of money to deal with the possible risk incidents in the community. With the rise of Internet and the era of information sharing, more and more mutual insurance, public raising, consumer finance and other insurance models emerge. On the basis of enough users and social cohesion, based on this social circle to start mutual insurance, this "small insurance" in the form, because light and scene, by consumers touted. Because of its instability in the development of the platform, it can not really give users a sense of security for a long time, and they can not replace insurance for a long time. As everyone knows, the life insurance companies are not allowed to dissolve the operation, general insurance company will be regulated, when there may be a loss situation, there will be regulatory action; secondly, although the insurance industry regulatory system compared with other emerging financial business is a supervision system and model of the complete range of regulated in the legal regulation to ensure the interests of users. However, the emergence of insurance does not mean that the insurance companies need confrontation, but should be effective integration, which is one of the future trends in insurance development. Class insurance products are popular with the market because of its convenience and light, and can help users in various scenarios of the Internet platform to reduce the cost and risk of providing quality Internet services. 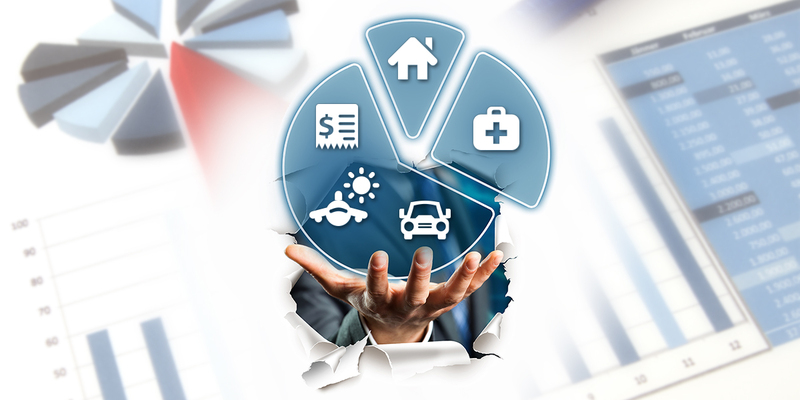 Insurance companies work with consumer finance platforms where one needs scenarios and the other needs data analysis and risk modeling capabilities. The two sides can believe in the future, in each one takes what he needs, and in consumer finance, insurance companies can get more products and better scene, for insurance companies can get greater development. 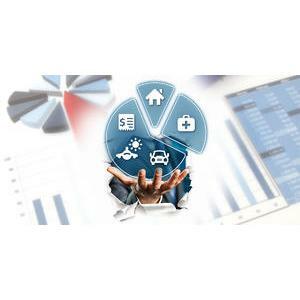 Insurance industry is faced with many reforms under the promotion of science and technology. Under the impact of new industries, the basic requirements for active participation in the insurance industry are under the impact of new industries. With an innovative, cooperative, inclusive approach, the combination of insurance and technology can effectively promote a truly differentiated competitive advantage and build a foundation for future growth.